Greg Lehmkuhl is the creative director of Terrain—a garden, home, and outdoor lifestyle brand from the team behind Anthropologie. Founded in 2008 on the site of a 100-year-old nursery in Glen Mills, PA, Terrain now has a second store in Westport, CT—both stores feature an on-site nursery, home store, and café—as well as shops within two California Anthropologie locations, and will soon open five more stores (two stand-alone stores and three inside Anthropologies across the country). 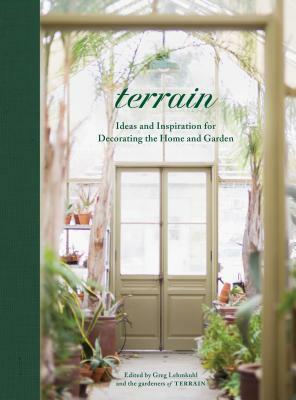 Terrain has been featured on Today and CBS’s Sunday Morning and in a wide range of national publications, including the New York Times, the Wall Street Journal, Vanity Fair, Vogue, Martha Stewart Living, Elle Décor, and InStyle.